All our merchandising and promotional material such as clothing, accessories, collaborations, etc. can be purchased in our Official Online Store or in our licensed shops. All sales that take place outside of these places will be considered as unauthorized. All price in this Website and Our external Online Shop are given in Euros. The delivery may be subject to import taxes or VAT, depending on the delivery country. Edelsten Bikes is not responsible for such overcharges. Our official webshop accepts PayPal and Credit Card Payments, all payments that are made on this website are controlled and secured by Shopify Security Platform and Paypal through encrypted payment gateway. For custom orders or special request we may accept bank transfers and Paypal funds transfers. All orders are managed by Edelsten Bikes and paid via Paypal or Bank transfer. For any question regarding a placed order the user should contact info@edelstenbikes.com and they will get a response in maximum 48 hours. Shipments are made via post, and there is also a tracking number that every customer can get through the same email. You will receive a confirmation email from us as reception of Order Placement. In case of paying through Paypal you will receive another email confirming that your payment was successful. 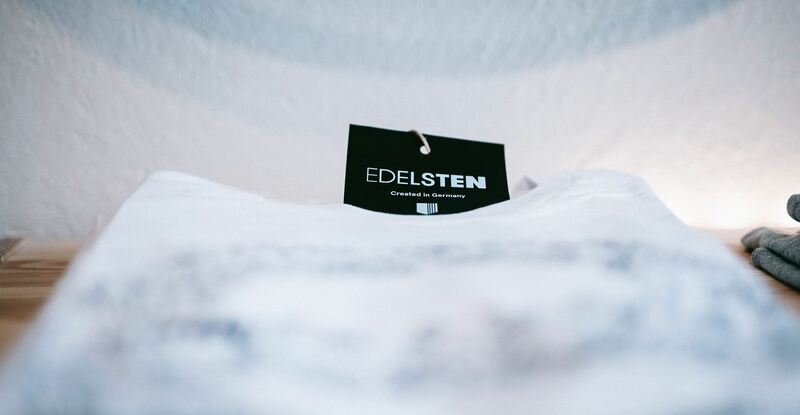 If you have any problem to realize your online payment, or if you are not sure that your payment will be processed correctly, contact us on info@Edelstenbikes.com or via phone (+49 (0) 941 4662251 or +49 (0) 151 414 60567). If you want to modify your order, send us an email to info@edelstenbikes.com or call +49(0)941.4662251 o +49(0)151.414.60567. Remember that once your order has been processed by Edelsten Bikes, it is not possible to cancel or modify it online. If you are not completely satisfied with your purchase, you can return the goods within 15 days of the receipt and receive a refund or make an exchange, if the item has not been used and is in its original package. Damaged items will be replaced, repaired or refunded after being evaluated by our team. We only accept online returns of items purchased directly on the Official Online Shop. If you purchased your product from one of the authorized Edelsten Bikes dealers, contact the store to process your exchange or refund. Remember to include the shipping address where you want to receive your new items. All orders require a signature upon delivery. There are no refunds for shipping fees. Repackage the item, if it is possible in its original package, and attach a copy of the invoice. International returns: Edelsten Bikes is not responsible for customs taxes for returning items from international destinations. All packages must be marked as \"Items returned under warranty\". Edelsten Bikes will try to process your refund as soon as we receive the item, although it could take up to 15 days to process a refund during the high-volume orders periods. During these periods, it is not possible to confirm receipt of your package before processing. Depending on your location, the return may take 4-5 weeks to arrive. All of our framesets include a 5 years warranty for damage caused by a defect of product material or manufacture. This warranty is applied only to the Edelcode holder of that frame. Every warranty is subjected to inspection by our staff and any final decision will be taken after a thorough examination by our authorized personnel. Our warranty will not cover under any circumstances damages related to misuse, poor maintenance of the product, or damages that are consequence of an accident or racing incidents. In case of errors or omissions on the website, EdelstenBikes reserves the right to refund the amount of order before the products are sent. Moreover, Edelsten Bikes reserves the right to cancel any order if the ordered product is not available. In such case, the customer will be informed and refunded the whole amount of the order, without offering any other compensation. We do our best to ensure all descriptions and Edelsten Bikes products specifications are accurate and correct, in case of doubt please always contact info@edelstenbikes.com. The colors that appear on the site are accurate representation of the original product, however, they may vary slightly from the original product colors, due to your monitor resolution or the browser.